Enhance your online ecosystem by integrating business tools. Perhaps the most fascinating business phenomenon of the past couple decades is how e-commerce has decisively turned the retail world upside down. Although the basic principle of every e-commerce site is to sell products, no two platforms are the same. Each one features its very own sense of style, charm, and functionality. When looking at today’s online retail giants, such as Amazon, eBay, and Alibaba, there are many questions to be asked. What makes their interface stand out? How do they deliver unique experiences for each visitor? What is it about these sites that make them masters of conversions – while others fail miserably? Although there can easily be books written on this topic, ultimately, the underlying answers to these questions lie in e-commerce software integrations. 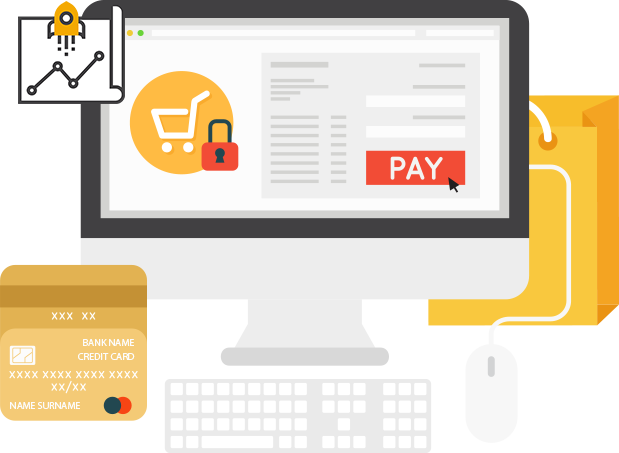 Fortunately, there is no shortage of third-party solutions, of which can significantly enhance the functionality of your online store. As your site grows and evolves, it will undoubtedly require software integrations to continuously offer superior digital shopping experiences. For this purpose, we are here to help. At Ayokay, we are fully capable of utilizing both front-end and back-end integrations with your e-commerce platform. Our main objective is to come up with innovative solutions to give your business a competitive edge. If you need customer-facing solutions that have the perfect mix of technology and flashiness, look no further. Our team of experts in the digital commerce ecosystem use their refined skills and leverage the latest tools to push limits and exceed expectations. We don’t believe in the one-size fits-all philosophy. We consistently cherry-pick the best possible software and incorporate the key features and functionalities with your website. We value your time and work in close quarters with you throughout the entire process. We strategically address the challenges in your way and convert them into opportunities. As customers are the mainstay of any e-commerce website, we go to great lengths to make the experience all about them. We are well-versed in the latest trends and industry standards to pave the way for your business’s online success. We continuously use big data analytics to offer scalable solutions and recommendations for the future. 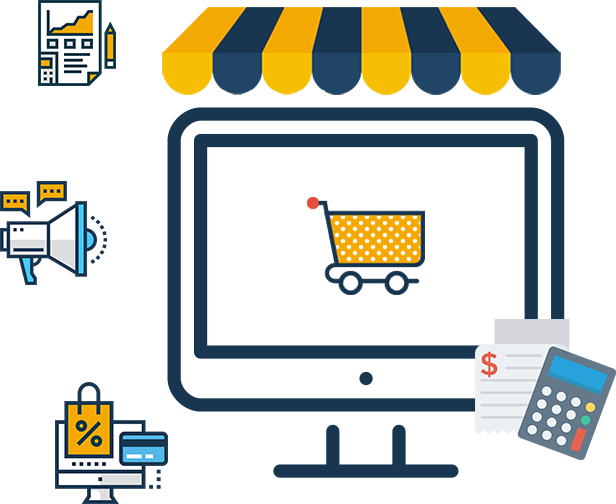 Take your e-commerce business to the top with the best software integrations in the industry. Whether you are looking for better inventory management, subscription management, alternative payment processing, advanced search, live chat, product catalog tools, or anything else e-commerce related, we are there to guide you in the right direction. Schedule a free consultation with us today to learn more! Achieve Optimal Results with Customized E-Commerce Software Integrations!